Custom tubs | Bartok design Co. Custom tubs – Page 4 – Bartok design Co. 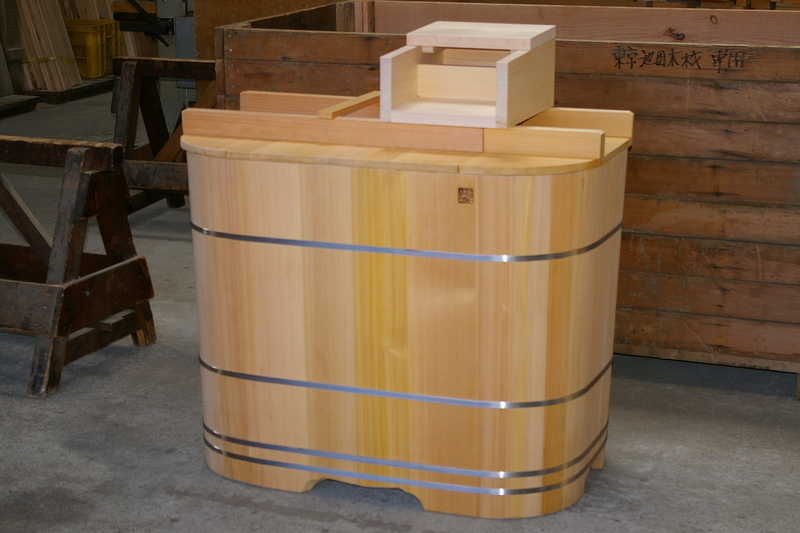 This minimal tub is dedicated to a very kind client and her family of Japan lovers. Apparently, she and her husband have stressful jobs and commute for more than 2 hours everyday. They recently made a trip to Japan: “We felt physically, mentally and emotionally so much better after soaking every day while in Japan. 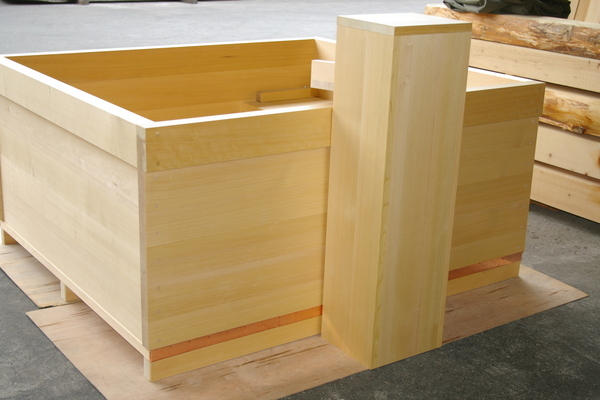 As per the client`s request, here are some photos of the tub being constructed with passion and dedication. The individual planks are cut and planed. 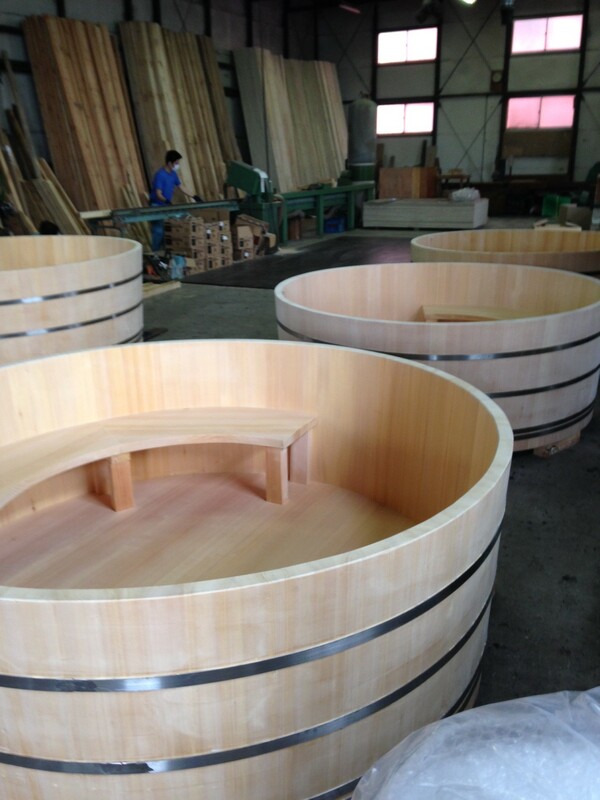 Then, they are assembled in an approximate shape, pulled together and finished to create a perfect barrel. 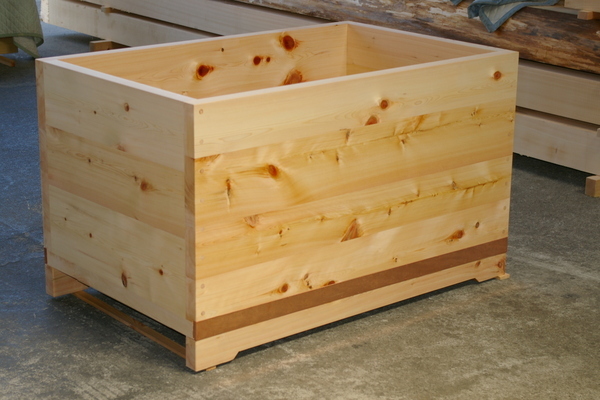 A craftsman used to build rectangular tubs would not succeed in creating a round one: you need maybe less precision but more sense of balance. Actually he keeps saying: do not trust the measure tape, trust your feelings! Well, it looks like the edge of a huge bathtub but it is actually a sushi counter! 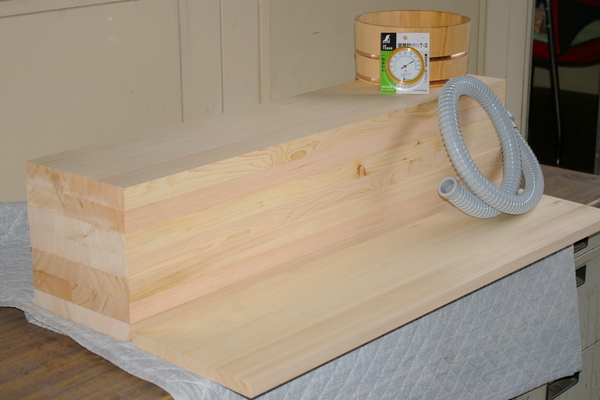 The wooden blocks of laminated hinoki wood are covered by a 7mm layer of solid quarter sawn thick veneer so it looks like solid lumber without the cracking and deformation problems that solid wood would have. Very close to the hinoki trees of Ise Jingu, we were very lucky to find a quarter sawn lumber more than 7 meters long. This way we could make the full length with the same plank: it means that the wood veins run seamlessly from one end to the other. For the shipping and assembly we split the counter in sections. 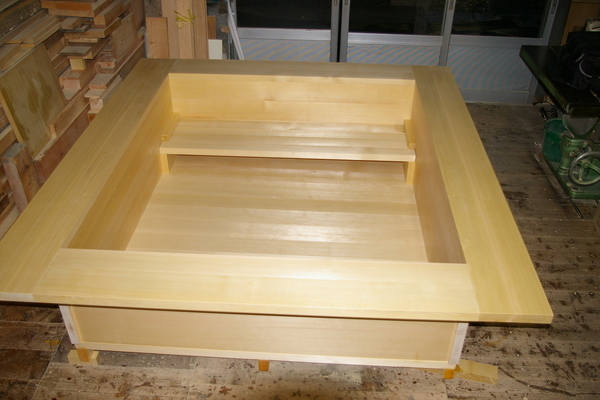 After joining together the blocks, the counter will be treated with kihada ichiban, a full penetration water repellent. This product is based on the nano technology and (for reference imagine the Goretex fiber used for trekking and outdoors wear) prevents the large H2O molecules to penetrate inside while letting out the aroma and lets the wood breathe. This was a very rapid and smooth order. It took exactly 29 days from the first information request to the submission of the complete ofuro pictures. To be precise, 15 days for the quotation, modifications, details fine tuning, confirmation and 14 days for the production! Here in the picture below, you can see the in action our smart and sassy “ball type rubber plug”. It comes for few extra bucks but it is worth it, especially for a tub with elegant proportions such as this one! This project took about one month from initial inquiry to shipping. On the other hand the communication back and forth was very efficient considering that at least 50 mails (considering question and replies) were exchanged to fine tune the order. 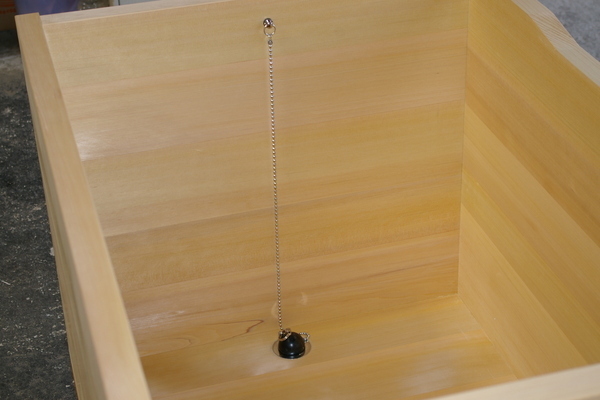 The site has a drain pipe sticking out of the floor, so the client considered building a duckboard to raise the floor and use it as a base for the tub. In the end we decided to send the material and have the local carpenter building the deck. 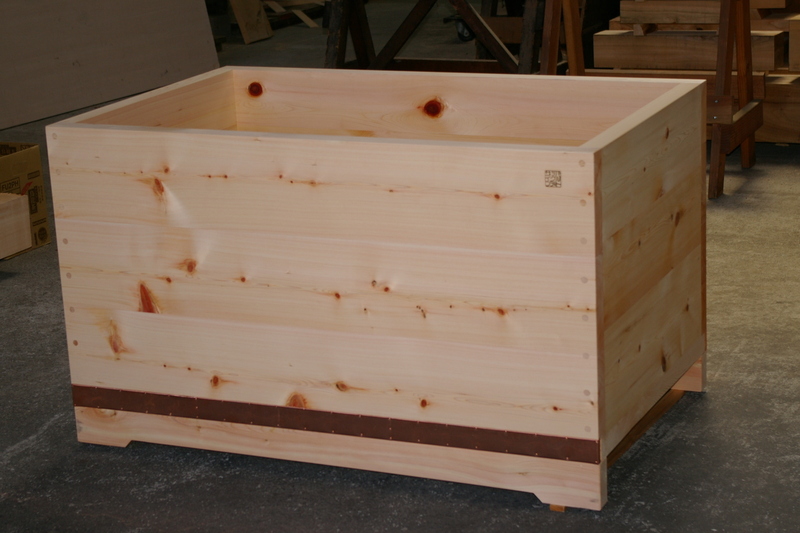 This way the dimensions can be customized to perfectly match the site, at the same time as the spare lumber can fit inside the tub during the transportation, we could drastically cut on the shipping cost. Actually, at some point the client planned to use a western style overflow. 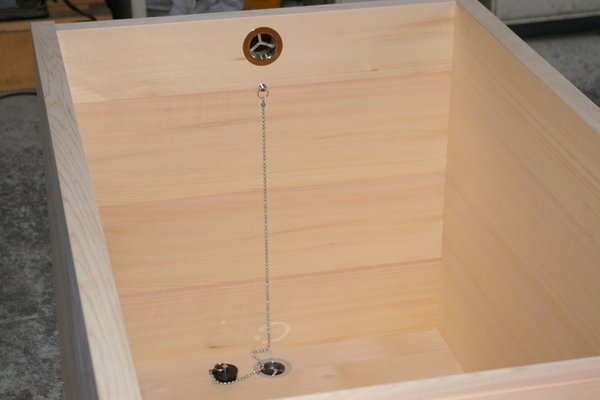 Since western style tubs are made with an acryl or frp shell about 6mm thick, an adapter is needed in case it is applied to a wooden tub with a wall thickness of 33mm or more. The client seemed to find a solution but it did not give enough guarantees so we opted for our japanese overflow. It comes with a flexible pipe so it can easily adapt to the site condition. 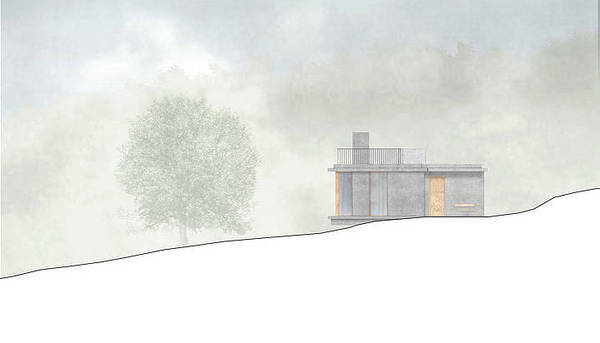 As mentioned in the title, a swiss young architecture office ordered this ofuro. Their design is very clean and they pay great attention to the texture and coordination of few, accurately chosen materials. 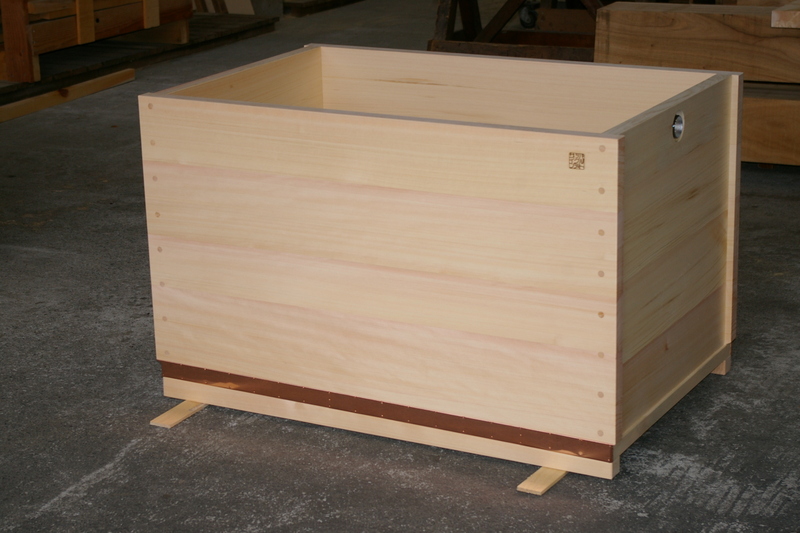 We feel honored that they chose a Bartok design tub for their new project! The pattern of the knots is random as the carpenter has to give precedence to the orientation of the grain and width of the planks when selecting the material. 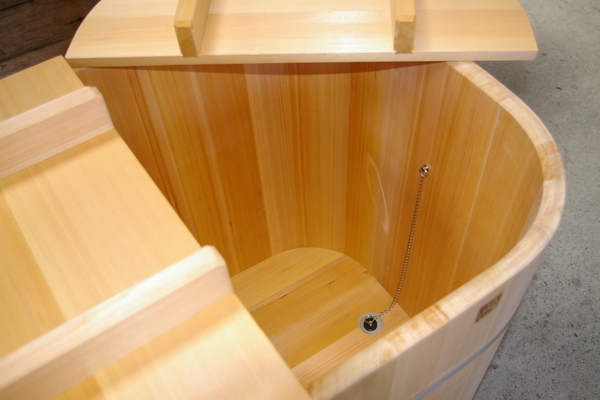 From this point of view, even more than straight wood tubs, a knotty hinoki ofuro is unique and unrepeatable. it was more convenient to ship the tub thru Geneve rather than thru Zurich (air freight). I am looking forward to seeing it in its new home! 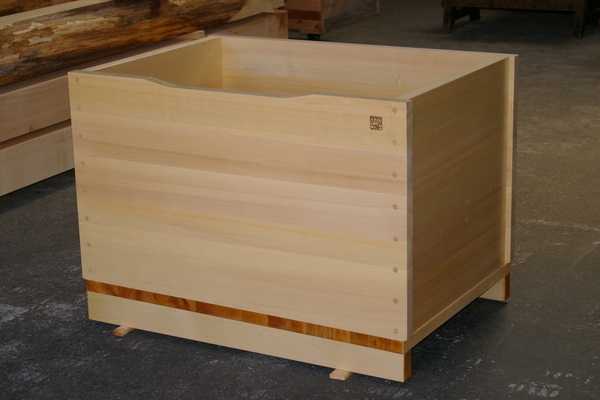 Last year we made a tub for a client in Washington state. In january, we received a kind mail saying that they were getting back in touch to order a larger tub. I think that an ofuro is not a typical product for repeaters and we were really pleased and honored to receive a second order. The new tub is really gorgeous and I think I would give my right arm to be able to see the pavilion in which it will be installed! 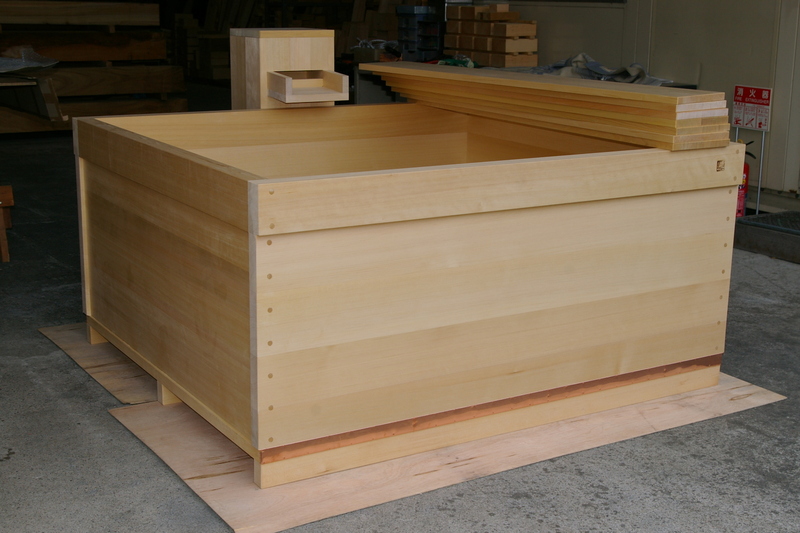 We made the client wait 60 days because we had several orders and we have only one craftsman (Mr. Wada) able to deal with such a large tub. It takes him about 15 days to laminate and assemble one tub and it took him 3 full weeks for this one. The bench will be assembled on site, so we are including the pre-cut material and metal fittings. Well, it is not the best title I could come up with, but with some explanation, I hope you get what I want to say. This is probably the fastest order we fulfilled until now. 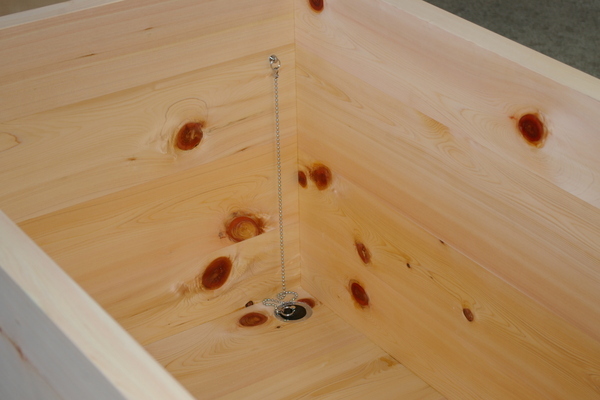 On march 31 the tub arrived to destination. In these cases we recommend payment with Paypal. 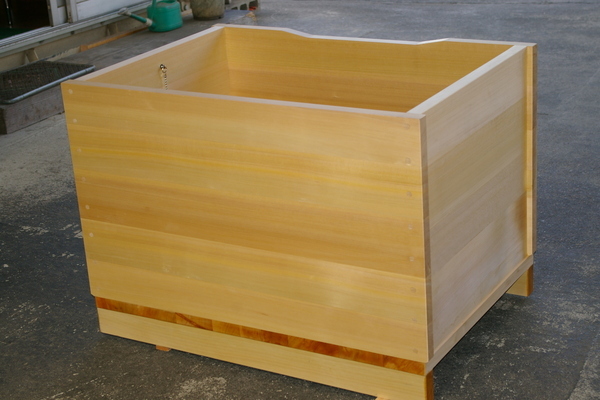 The tub is a Kadomaru model 930mm x 630mm size tub. The order includes also a wall mounted wooden spout. Recently we made an agreement with DHL and in case of the “Kadomaru” the shipping service becomes very rapid and reasonable. Other advantages are that we can use a cardboard box (cost redution) and DHL picks up at our warehouse so we do not incut in any additional cost for delivering to the airport. 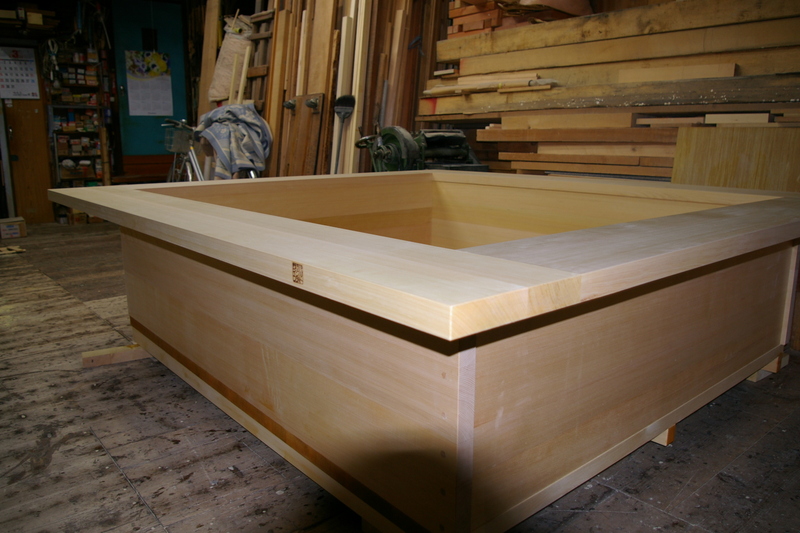 Well, the problem of this tub is that it is so large that it doesn`t fit in the viewfinder! 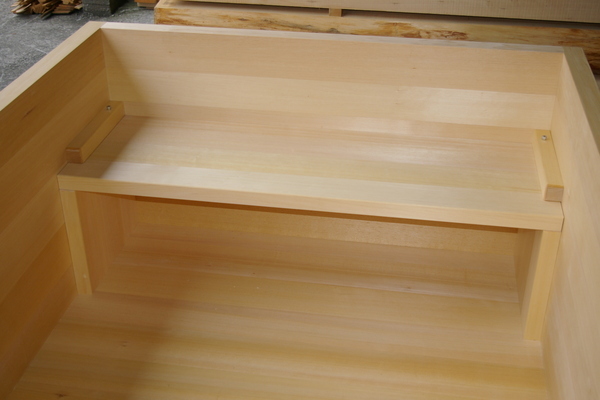 We received a second order from the Parisian architect and cabinet maker we worked with in 2009. 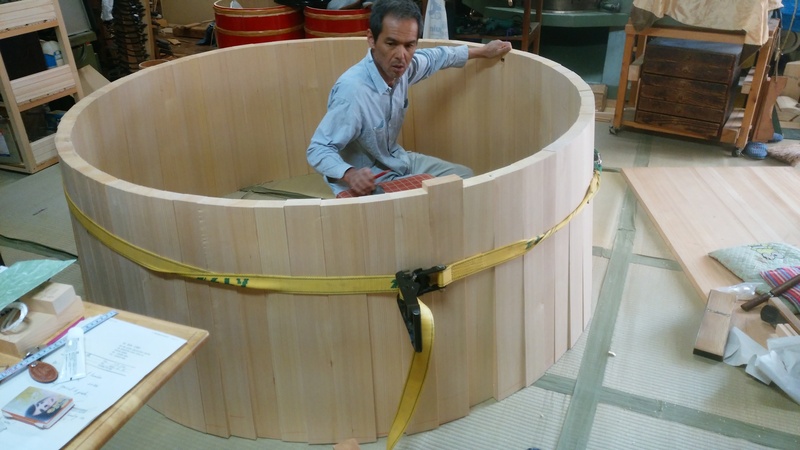 He contacted us because he is now designing another japanese style bathroom. I am looking forward to seeing this new work as he is a master in matching stunning design with traditional sensitivity. We could not find a single trunk for the top border as in 2009. We though we found one suitable lumber but it was faulty in the inner part. 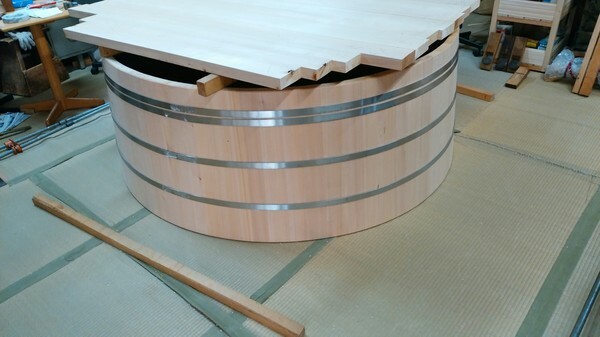 In the end we opted for a hagi-zai kamachi (2 thick planks laminated side by side) giving priority to the quality and clarity of the grain. If you are interested in contacting the architect in Paris A.K. please let me know.